San Francisco 1915 is the setting of this entrancing novel that Rebecca Rosenberg tells with expert prose and a way of eloquently moving the story along at the perfect pace. 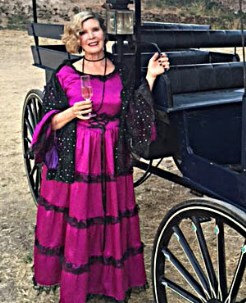 Charmian London is the second wife of the famous writer Jack London. She put her dreams on hold of being a writer to help her husband forge ahead with his writing career. Charmian is the perfect wife. She types for Jack. She even lets Jack box with her so he can get his creative juices flowing. Honestly, Charmian would do anything for Jack's love. That is until another man pays her notice. Then she starts to wonder if Jack is the amazing man she always thought him to be. This story is a definite page turner and I believe many readers will fall in love with Charmian's story. She is not your average hero. In fact, I found myself not liking her very at times because of her devotion to a man that I didn't feel cared as much for her. However, the author makes it work with the story and I still routed for her even if I didn't always agree with her character. A richly told historical story with plenty of passion, excitement and page turning to keep you reading. I highly recommend this novel. 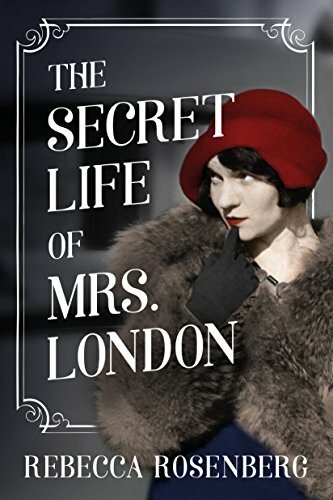 Win one paperback copy of The Secret Life of Mrs. London. Open to US Residents only.